This tile coaster features two lucky horseshoes in a blue ripple design on a white background. 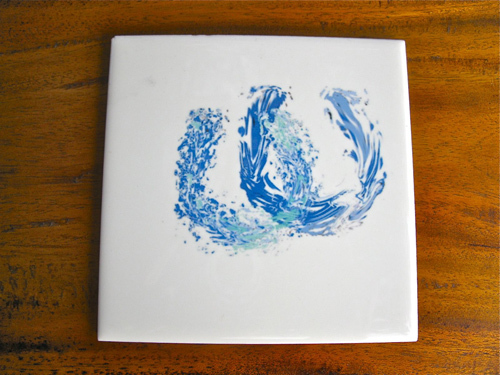 Entice luck into a friend's home or office with our Ocean tile coaster. An ideal little gift to brighten someone's life with a bit of inspiration and some good luck wishes. Comes gift-wrapped, like all our presents - and we can print a personal message on your behalf. More information about Lucky Horseshoes . .